Hello to Android Users..!! Welcome to our website. Currently in this article, we are providing you useful information to free up storage space on your smart devices by finding and deleting duplicate files. 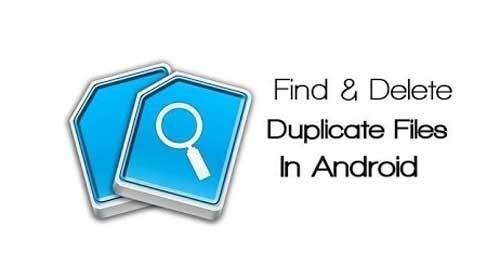 Here we are providing you the methods to find and Delete Duplicate Files on Android Device. If you want to get new apps on your smartphone and it has less storage space, then you opt to buy new memory card or uninstall some memory on your device. If you feel that existing memory on your phone is not enough and you should buy a new memory card with higher memory or even a new device with high memory, then before you going to do this you should try some tips and tricks to find and delete duplicate files on Android Device. These duplicate files are actually of no use on your device and they are just there on your device because you might have downloaded them from the internet more than once or the duplicate copy of the file has been created because you have shared a file on multiple applications. On some android device camera saves multiple images in different modes such as in HDR mode and also in normal mode. Then duplicate files create on your device and the storage space on your device reduces. To get rid of such images you should manually open camera folder and make multiple selection of duplicate files. By doing this you can delete duplicate files on your android device. This is another method to search and find duplicate files without any third party application. This method dives deep into the folders on your android device. To perform this method you will need a file explorer on your android for some devices the file explorer comes preinstalled. If file explorer is not available on your device then you can go for a third-party file explorer. After downloading and installation of file explorer is completed, open file explorer and search for WhatsApp media folder, there you will find sent folder. Open that folder and delete all the files in that folder. The files located on this folder are duplicate files shared by you on WhatsApp. Similarly, you can also find and clear duplicates in other folders on your android device. This is another method to find and delete duplicate files on your android devices. If the above methods look time consuming then you should go for a third-party application to delete files, duplicate photos, media and contacts from your devices. If you search for a duplicate file fixer on Google Play store then you will find a number of file finder applications. Among the listed apps select Systweak software which is easy to use and user friendly. 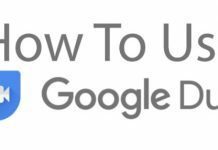 Here we are providing steps how to use this app to remove duplicate files from your android device. This app is available for free and can be downloaded from Google play store. After download and install of the app is completed, you will find it on the home screen. Now proceed to scan for duplicate files on your android device. Select categories to scan or you can also select for full scan. After scanning is completed you will find scan results based on the content of file but not based on the same name. This is really the best part about this application. Now you can select these duplicate files to back up before deleting them or you can directly delete those duplicate files. Step 2. Now you need to wait for few seconds until it finishes scanning for duplicate files. That’s it! You are done, now you can select your duplicate file to delete it, you can also delete multiple files with the help of these. If you have any queries regarding this post, please comment below. Follow our site for recent updates.